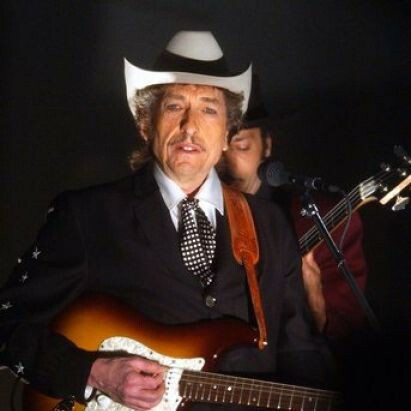 Real Live, Bob Dylan’s fourth live album, is really not that great. Recorded in London (Wembley Stadium), Newcastle, and Slane, Ireland, it doesn’t really succeed in capturing much of what was interesting about his 1984 summer tour of Europe, and, in fact, that tour itself wasn’t really that interesting. The tour (27 dates with Carlos Santana opening, and usually joining Dylan on stage during the encores (he plays on “Tombstone Blues” on this album) was more of a nostalgia tour than a promotion of Infidels. Lots of 1960s material included. 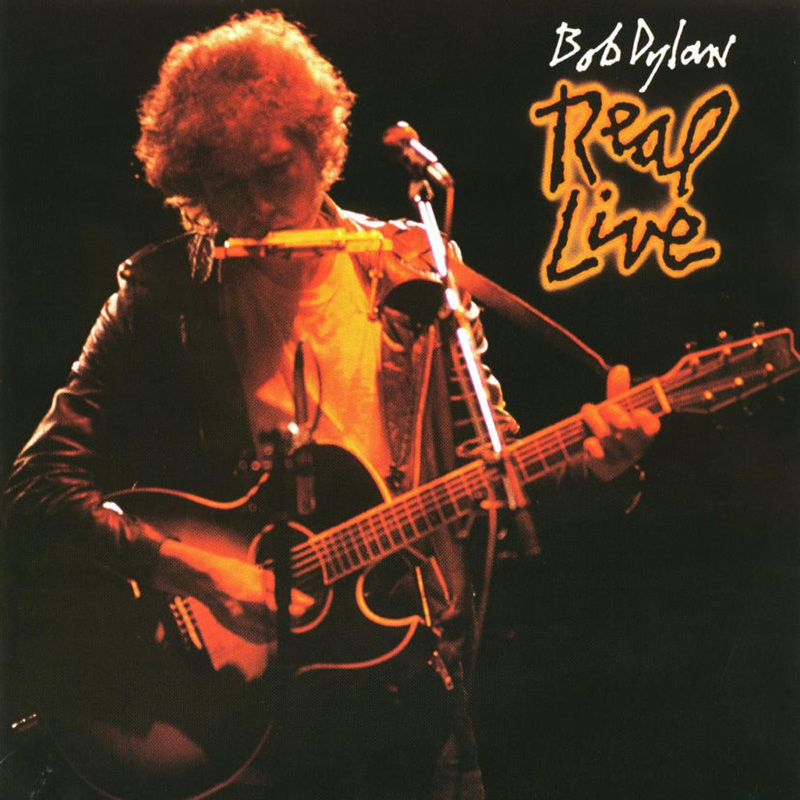 Seven of the ten songs on Real Live were from the 1960s, one from the 1970s (“Tangled Up In Blue”) and two from Infidels. The album presents just under half of a typical show from the tour (which tended to run about twenty-two songs on average). It skips some of the worst parts (the dreadful call and response versions of “Blowin’ in the Wind”) but also some of the best parts (come back tomorrow). From what I’ve listened to, the 1984 shows were pretty consistent in terms of song lists and general quality, even stage patter. I find it hard to differentiate the bootlegs when I’m listening to them, and they’ve gotten repetitive on me. Real Live accurately captures the fragment of the tour that it records, and the Slane show in particular is considered one of the better ones (though this album doesn’t include the guest spots from Van Morrison and Bono, which were the highlights, well, at least Van was a highlight). It also includes some pretty bad harmonica playing on “It Ain’t Me, Babe”, which seems to be included just for the people yelling “No no no”, which they did a lot on this tour. I guess that’s fun to yell. If you want one thing from Real Live it’s the new version of “Tangled Up in Blue”. Download that for 99 cents. Dylan returns it to the third person, and once again radically changes a lot of the lyrics. Indeed, it changes more and more as it goes along. What is fascinating to me is the way that he can make these major changes in each verse without actually changing the meaning of the verse. So, on the album version when the couple breaks up “We’ll meet again one day on the Avenue” and here “That’s alright I love you too”. He shades things, without completely altering them. This is a really great version, and it seems consistent with the versions he played throughout the tour. Not an essential album by any means.